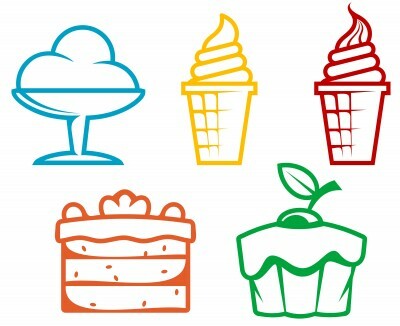 What follows are the 10 worst desserts you can have when you are trying to lose some weight. Just because you are looking at shedding those pounds does not mean that you have to miss out on having a little treat every now and then because all you need is some knowledge on what you can and cannot eat, so the information that follows may prove to be rather useful. 1. Ben & Jerry’s Ice Cream – Ice cream is of course one of the most popular desserts, but if we take Ben & Jerry’s as a typical example, then what you should know is that just half a cup of it will result in you eating around 300 calories and also on average 20g of fat. What is clear is that sitting pigging out on ice cream is only going to result in expanding your waistline rather than reducing it. 2. Chocolate Brownies – There are of course various types of chocolate brownies, but if you pick up the iced version, then just a single brownie can have approximately 250 calories and also provide anywhere between 8g to 14g of fat. The problem of course is that a lot of people cannot just stop at one and it just means that it does not take much for your calorie count to go off the scale. 3. Cheesecake – It is perhaps no surprise that normal cheesecake is high in calories, so if you want to try some, then you need to look at a low-fat variety or you will be eating something that consists of full fat cream, sugar, and cream cheese. What this then translates into is that a single serving could have over 350 calories and an amazing 21g, so if you have been careful with your main meal do not undo your hard work by eating cheesecake after it. 4. Banana Split – A banana split is a popular dessert when you are eating out, but the problem here is that the calories count is going to vary anywhere between 700 and 1000 calories depending upon the size and the ingredients that the restaurant used. This also comes with over 40g of fat, so it might taste fantastic, but bang goes your calorie target for the day due to this little indulgence that is over and done with in a matter of minutes. 5. 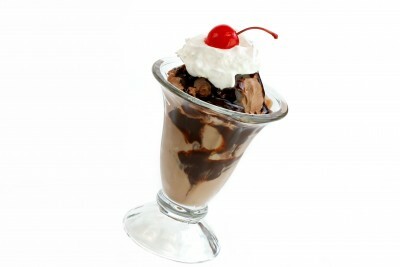 Chocolate Sundae – Another popular dessert in a restaurant is a chocolate sundae, but even with a small cup you will still find that the calorie count is going to fluctuate between 250 and 300 calories as an average. On top of this it will also have around 8g of fat and 40g of sugar, so even though it will boost your body due to containing calcium it is going to hamper your ability to lose that weight. 6. Strawberry Shortcake Parfait – This kind of dessert is often available from places such as KFC and even though it is relatively small in size it does pack a punch when it comes to fat and calories. Generally speaking, this little treat will have between 200 and 250 calories, around 20g of sugar, and up to 10g of fat and this just means that quite a lot is packed into quite a small treat. 7. Ice Cream Cookie Sandwich – A lot of people believe that eating just one of these special cookies will not have much of an impact, but in actual fact you can get some varieties that have up to 500 calories in one ice cream cookie. This is made worse by them having around 23g of fat and up to 45g of sugar, so you are best to have a scoop of ice cream and a cookie together and you will cut that by over 100 calories. 8. 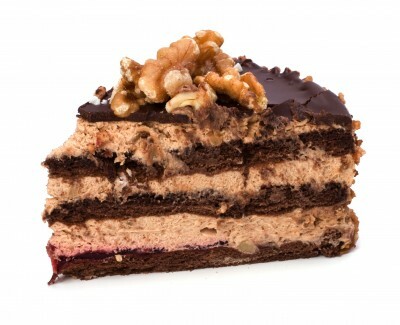 Chocolate Cake – The classic chocolate cake is often accompanied by ice cream or fresh cream drizzled over the top of it. This does sound amazing, but the problem is that if you have chocolate cake that is dripping in chocolate, then this dessert can have over 1000 calories when you add the ice cream with it. This dessert can also have over 100g of sugar and almost 50g of fat, so clearly this is going to help you to put on weight rather than lose it. 9. Carrot Cake – People mistakenly believe that carrot cake will somehow be healthy, but the average size slice of it can contain up to 800 calories depending upon how richly made it is. There are low fat options out there that will dramatically reduce this, but the full on versions can have almost 100g of sugar and 16g of fat, so look for the healthier one to preserve your waistline. 10. McFlurry – Finally, it is worth mentioning something that is popular with people that have gone to McDonald’s and need a dessert to go with their burger. The McFlurry does of course come with various toppings, but even though you do not appear to get that much the average calorie content with the topping can be over 500 calories and even as high as 700. They do also fill this dessert with sugar, so you can expect to consume approximately 100g of the stuff and there tends to be around 15g of fat as well and if you have just had that Big Mac, then this is going to push those calories off the scale.